Bhindi is a very common vegetable at Indian Kitchens. 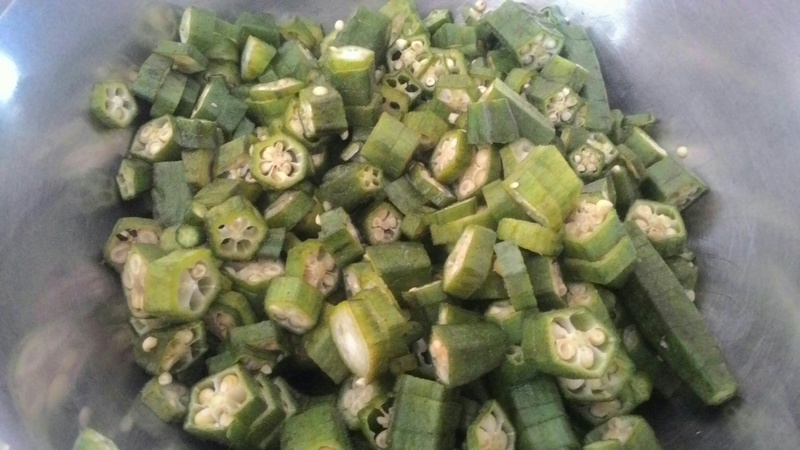 There are so many different ways you can cook Bhindi or lady finger or okra. I, recently, came across something unusual made of Bhindi at a food show. A Bhindi Ice Cream! You can find it in Gujarat. I don’t know if we can get it in other parts of India too. 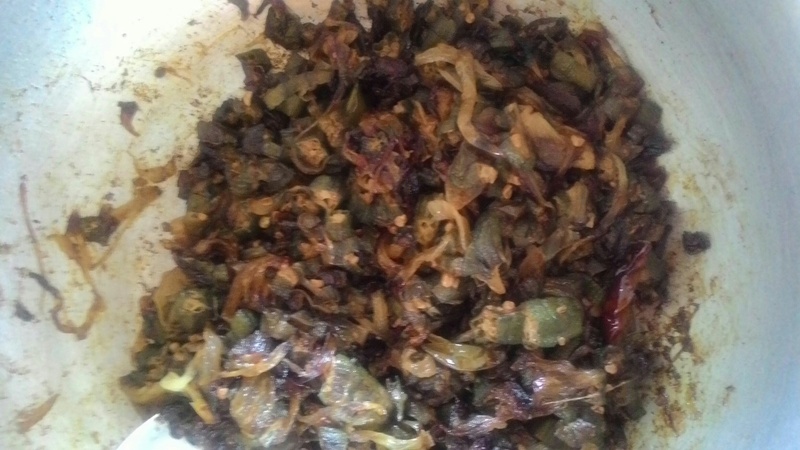 Earlier, I’d shared an on-request recipe of Kurkuri Bhindi Fry. Just click on the link and try another Bhindi Recipe. Do not forget to write to me or tag #foodeezjunction when you share on Facebook or Instagram. Do you know the health benefits of Bhindi? It helps in digestion, controls blood sugar level and also helps improve immunity. Write to me at foodeezjunction@gmail.com if you are looking for some specific Bhindi Recipe and I’ll definitely get back. Heat refined oil in a wok or Kadhai. Add sliced onions. Fry till the onions turn tender. Add tamarind piece and green chillies. Saute for 10 seconds. Add Bhindi and salt and mix. Turn the stove to low flame. Cover the lid and let the Bhindi cook for 10 minutes or till it turns soft. Open the lid and cook Bhindi for 10 more minutes or till the fat separates. Keep stirring in between. Do not let the bhindis get burnt. Once the fat separates, switch off the flame. Bhindi is ready! In a Kadhai or a wok, add refined oil and heat. Be sure there’s no water in kadhai when you pour oil as it will splutter. Once the oil is hot, add sliced onions. Fry the onions till they turn soft and pinkish. 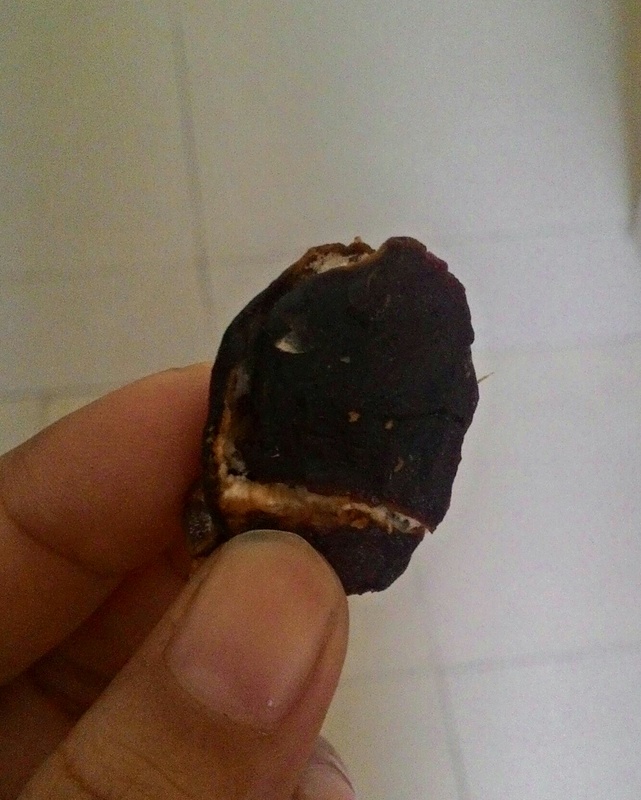 Add the tamarind piece now. Before you add tamarind piece, wash it and then add to the onions. Add green chillies and saute for 10 seconds. Turn the gas stove to low flame. 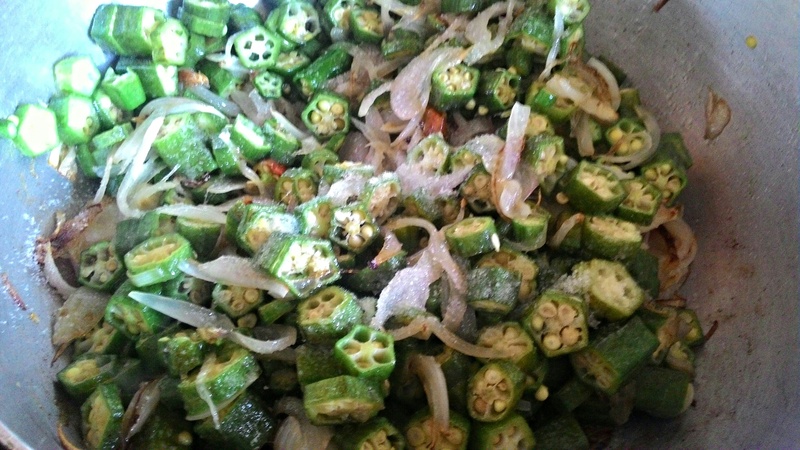 Now add chopped Bhindi or Okras and salt, and mix with onions. Close the lid of the wok or kadhai for 10 minutes. Stir in between. You need not add water. After 10 minutes, check if the bhindis have turned tender. If no, then cover the lid again and let it cook for 5-7 minutes more. Add this time, if you see, bhindi is getting stuck at the bottom just sprinkle 1 -2 tsp water and not more. Once the Bhindi turns soft, open the lid and fry it (on low flame) till oil separates. Keep stirring so that the bhindi is uniformly cooked and doesn’t get burnt. Once you see the oil separating, turn off the stove. 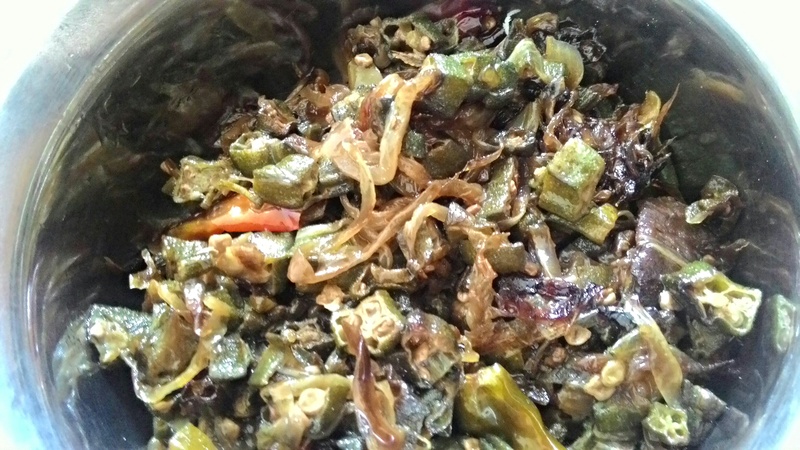 Bhindi ki Sabzi is ready! Let’s have it. Do not forget to like or follow us on Facebook, Instagram and Twitter to get updates on what’s cooking in our Kitchen.